DreamHost is a seasoned website host founded way back in April 1996 in the USA. DreamHost is owned by New Dream Network, LLC. They have been around since the very early days of the internet and now host over 1.5 million websites. The founders Dallas Bethune, Josh Jones, Michael Rodriguez and Sage Weil met while attending Harvey Mudd College in Southern California in the 1990s. DreamHost started in a dorm room back in the 90’s and now serves over 400k customers from 100 countries around the globe! This week we had the privilege of interviewing Brett Dunst, VP Corporate Communications at DreamHost and learning much more about their organization. Brett told us that “At Harvey Mudd, programming for Linux was a core part of the curriculum”. We were excited to hear that the founders had studied the ins and outs of the operating platform “Linux” from its very inception. Brett told us “They had each been interested in technology from an early age”. Although the team over at DreamHost have a wealth of official training in the programming and hosting arena, they owe a lot of their expertise to real life, on the job training. Brett told us “A lot of what was learned outside of the classroom happened thanks to open source software”. They resonated with the movement towards what they call “democratizing code in the interest of the greater good”. Where code is shared and people can more quickly share and actualize their dreams online. Brett quite clearly stated, “We wanted to be a part of that!”. Although DreamHost is now a large, hugely successful web host, they began by serving local business in California. Brett told us “Some of our earliest clients were local businesses who needed some way to get online”. They quickly rose to the challenge and began offering hosting services and fulfilling a need that they say they were “uniquely suited to serve”. Back when DreamHost began there were not many options when it came to getting a website. At that time people even debated whether or not the internet would take off. Brett told us that they were in the unique position to offer this new web hosting service to the world. “We had the hardware, the knowledge, and the drive to help build this new category of web services at a time when “web hosting” was not something most businesses even thought about” Brett explained. DreamHost boasts over 750k+ WordPress installations worldwide. As a company that began back when the internet was not widely known yet, DreamHost has been hosting WordPress blogs and websites since they were created back in 2003. Making the DreamHost team, the gurus in professional WordPress hosting. DreamHost full heartedly supports WordPress, a powerful open source content management system for the web. They help to make” WordPress better with code, community contributions, and expert-level support”. Over the years DreamHost has grown to offer a variety of services in hosting arena. However, they told us “We’re a leader in the managed WordPress world and have fully aligned ourselves with delivering a powerful WordPress experience that sets the standard for top-tier service”. Over the years DreamHost has responded to their customers ever changing requirements. Now they have a comprehensive offering, Brett told us “We’ve grown our product offering over the years to encompass a full spectrum of hosting services. 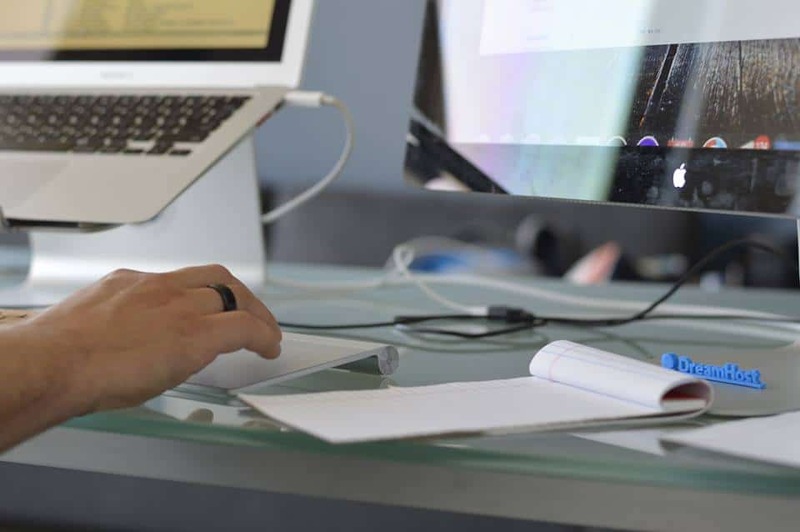 From basic shared web hosting to advanced cloud computing services, we’ve got hosted services to fit nearly any online need – with room to grow and expand”. DreamHost is committed to supporting their WordPress customers every step of the way. That is why they have created a unique solution called “DreamPress”, their fully managed WordPress offering. With WordPress now powering over 30% of the web and the fact that DreamHost has been there since the beginning of not only the WordPress but of the WorldWideWeb since it arrived on the scene. DreamHost Remixer is DreamHost’s home-grown click-to-edit website builder. Brett told us that the tool has “helped countless web users to build beautiful websites with no technical knowledge required”. People who are not technically minded can use DreamHost Remixer to easily bring their project to life and get it online. DreamHost loves to automate any process that they can to help lower the costs for the end user. Brett told us “We’re always looking to add value without raising costs, and automation helps us do that”. Automation is used throughout the company, however, Brett told us about how they clearly perceive the limitations of Automation. “We would never want to negatively impact our customer experience” Brett explained “Our in-house customer service is award-winning and unparalleled in our industry. We value having those human touch points with customers and will always look for ways to help them achieve success online with a little hand-holding when needed”. Although DreamHost is a proponent of automation they draw the line when it comes to customer service. They understand the requirement for a personal touch when it comes to their award-winning support. DreamHost offers a comprehensive range of hosting services with solutions to fit any size of project or budget. 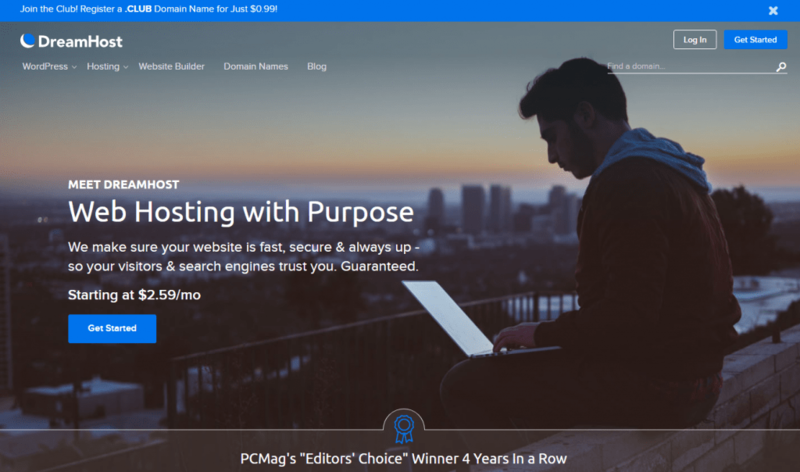 WordPress Hosting – DreamHost is officially recognised by WordPress.org – they offer hosting services that enhance the user experience using their proprietary offering DreamPress. Website Builder – Because DreamHost has been around since the beginning they understand the requirements’ of a website builder inside and out. Their DreamHost Remixer tool is currently being enhanced to provide the best possible website builder experience on the market. Shared Hosting – DreamHost have 2 shared hosting plans, both with a massive 97-day money back guarantee. Virtual Private Servers – For those looking for a little more control over their website or app, DreamHost offer VPS (Virtual Private Servers). The VPS includes Managed Performance, Security, & Updates, Unhindered performance with your own server resources, Quick & easy to use custom control panel, Unlimited bandwidth & traffic, Expandable RAM & storage, SSDs, email, SSL, & unlimited domains included and US-Based VPS. The offer 4 levels of service to suit the needs of any customer. If you are looking to host with the most experience team alive on the plant today, then DreamHost is for you. They have the most amazing team of passionate staff and the know-how to take your dream to the next level. We loved learning about the DreamHost journey and can’t wait to hear more about the new DreamHost Remix updates in the near future. Thank you Brett for taking the time to do this interview, it was a real pleasure!